Ultimate Fighting Championship (UFC) Light Heavyweight knockout artists Ovince Saint Preux and Jimi Manuwa will brawl this Saturday night (Oct. 8, 2016) at the UFC 204 pay-per-view (PPV) event inside Manchester Arena in Manchester, England. “OSP” has risen through the ranks in large part due to his impressive athleticism, but he’s faltered against the division’s elite. He’s coming off a tough loss in his last bout, so St. Preux will be looking to bounce back here. Manuwa is in a similar position. Though he’s without the marquee wins of his opponent, Manuwa climbed into the top ten by being a ferocious striker and natural athlete. He’s hit the same wall at opposite the division’s elite and will also be looking to return to the win column. 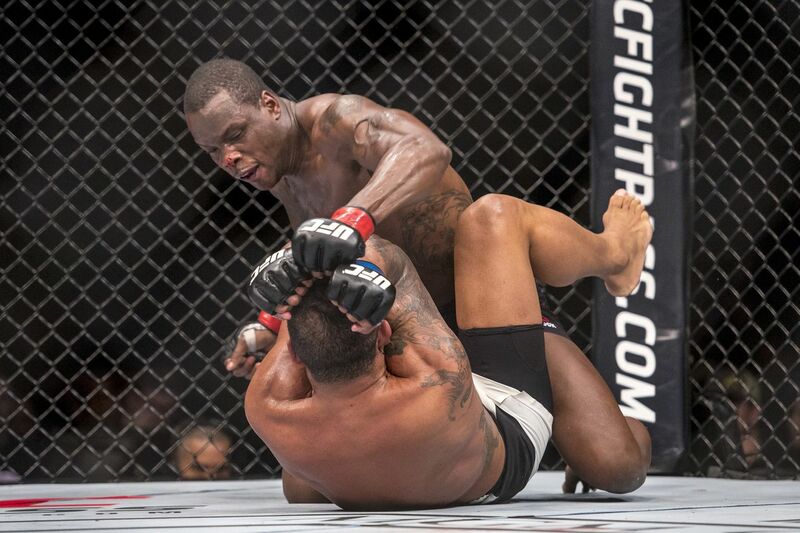 Keys to Victory: Saint Preux is one of the larger and more powerful men in the division. An extremely powerful kicker, the Southpaw has some dangerous hands and powerful takedowns as well. He’s not the most technically deep fighter around, but “OSP” is explosive and has some nice tricks up his sleeve.